If you’re looking for consistent market success, the best thing you can do is to expand your time horizon. Chasing flavors of the week could profit you in the immediate frame, but too often, an unexpected event can derail your position. However, by picking ideas from the best long-term stocks, you improve your odds significantly. Primarily, a financially sound company’s trading dynamics will replicate the law of averages. Nearer-term pressures and unfavorable news events can negatively impact the organization, but in the longer run, the fundamentals take over. In other words, time evens out the volatility. That’s not the case for swing trades, where outliers can have a disproportionate effect. Moreover, genuine long-term stocks usually have bullish arguments that extend beyond technical factors. A proven track record is a typically common attribute, as are other tailwinds, such as strong financial performances, or a robust, underlying industry. To better maximize these “patient” investments, investors should focus not just on corporate-growth prospects, but sector growth as well. In many cases, a rising tide lifts all boats, irrespective of individual performance. Some trends are significant but difficult to quantify. Others are patently obvious. A prime example is shifting consumer behavior toward e-commerce outlets. Put simply, online sales represent an increasing share of total retail sales. This undeniable fact has always led me to recommend a longer-term position in Amazon (NASDAQ:AMZN). I’m not backing away from that opinion. Amazon attracts all customers, but notably those in the middle-income bracket. It’s also pushing into extremely lucrative markets like smart speakers. Its role in the economies of tomorrow is assured. But I don’t want to keep talking about the same company again . That’s why I’m putting Wayfair (NYSE:W) front and center on my long-term stocks to buy list. Wayfair is an online retailer specializing in home goods such as furniture and decorative products. And business has been good, with W generating nearly 45% direct-retail sales growth last year. The tremendous momentum has sparked a rapid rise in W stock. Since June 1, 2017, Wayfair stock has nearly doubled. The problem? Its net income is negative. Coincidentally, that’s always been Amazon’s issue until a few years ago. So long as shareholders continue to see top-line growth, they appear willing to overlook the bottom line. Over time, Wayfair could end up becoming a smaller version of Amazon, which isn’t a bad gig. Being as diplomatic as possible, the Trump administration has been a mixed blessing for the economy. On one hand, Trump has reinvigorated domestic industries, with calls about putting American interests first. But on the other hand, he hasn’t produced a great image abroad in the non-Russian part of the world. A sharp consequence of Trump’s foreign policy is the ongoing tariff wars with China. With the Asian economic giant being an exporting power, international couriers like FedEx (NYSE:FDX) felt the heat. As an example, FedEx delivered great results for its fourth-quarter fiscal 2018 earnings report. Unfortunately, investors panicked on FDX stock due to shipment-slowdown fears. That’s a shame because I strongly view FedEx as one of the best long-term stocks to buy. Outside of the tariff issue, the courier, along with rival United Parcel Service (NYSE:UPS), benefits from the aforementioned e-commerce trend. Consumers are no longer shopping in brick-and-mortar stores in the same volume like prior generations. The positive tailwind for both couriers is readily apparent. Critics may counter that Amazon is experimenting on their own delivery service. I’ve said it before, and I’ll say it again: the impact is likely overstated. The economies of scale involved in trying to take down a FedEx or UPS is enormous. Besides, the e-commerce sector will balloon to a size big enough for all current competitors. You hardly think about this when you’re younger. But as the earth continues to revolve around the sun, you get closer to the inevitability of old age. After enough complete revolutions, you’re at a point where you may no longer physically take care of yourself. Handling the challenges in senior-living solutions is Welltower (NYSE:WELL). Welltower is a real-estate investment trust that focuses largely on senior-housing and assisted-living facilities. The company also specializes in memory-care communities, post-acute care facilities and medical-office properties. The need for Welltower’s primary business is obvious. Currently, Baby Boomers represent the largest living generation in the U.S. A significant number of this demographic are already retirement age, and soon, the majority will enter their golden years. That substantially boosts prospects for WELL stock, especially if you have a long-term strategy. Moreover, I believe Welltower’s structure as a REIT is an advantage in this sector. Direct plays like Brookdale Senior Living (NYSE:BKD) appear enticing at first. However, look deeper at the financials, and you’ll likely discover a flawed opportunity. Welltower better absorbs sector risk by spreading it across multiple properties. I dare say that most Americans take for granted that English is the uncontested international language. Everything that we consume has an English translation. Whenever we go to a foreign country, we can expect at least someone to speak some English. We really don’t think twice about this dynamic because of historical imperialism. Western values and culture are exported everywhere thanks to ubiquitous brands like Coca-Cola (NYSE:KO) and McDonald’s (NYSE:MCD). But how long is this dynamic going to last? Even in our own nation, we’re experiencing profound demographic shifts. Internationally, these changes are even more dramatic. Already, Chinese is the most spoken language in the world. Considering that China’s population is roughly 1.4 billion, this fact will become further solidified. Here’s the bottom line: Whether English remains the international standard, America cannot survive as a monoglot nation. That’s where Rosetta Stone (NYSE:RST) comes in. As makers of language-education software, RST provides a critical solution to a growing need. RST has proven its worth in the markets, having jumped to a 35% lead. Still, it will require some patience moving forward. The company incurred poor sales and earnings performances in the era of Google Translate. However, learning languages isn’t about merely translating words, but the meaning behind the words. Foreign language is a vital art that computers can’t yet properly duplicate. If Rosetta Stone can sell that message, RST has the chance to consistently surprise. The previous time I covered online car dealer Carvana (NYSE:CVNA) was as part of a gallery featuring up-and-coming publicly traded organizations. I also mentioned that I was in the market for a new ride. I’m still searching, which has led me to some additional thoughts about CVNA stock. First, car buying is a real pain in the behind. I spend endless hours looking for the right vehicle. If I find a few that meet my interests, I then have to physically go to the dealership. I haven’t gotten around to this step because a) I’m lazy and b) I know I’m in for bitter negotiations. “It’s long been a rite of passage — if one that’s universally bemoaned — sitting at a car dealer’s cluttered desk, dickering over the price of a new vehicle. This year, more millennials will be in America than members of any other generation. If millennials buy cars, they will increasingly choose the online route. Sorry, shady used-car dealers, but CVNA is about to eat your lunch. Rooster’s Lindsey Kline reported that millennials are giving corporate America the bird. But why do Kline and her fellow demographic partners feel so strongly about corporate employment? In her words, she prefers companies cut the BS, and instead provide “office kegs, pool tables, and air hockey.” If today’s employers can’t get with the program, young workers will simply leave. Some of you might find this thinking process arrogant, and I would agree. However, don’t fight the tape: This is how the working environment works today. And this points to the reason why I’m long-term bullish on ShiftPixy (NASDAQ:PIXY), especially if the price is right. However, this trend isn’t exclusively an American one, which is why I’m putting 51job (NASDAQ:JOBS) on my long-term stocks to buy list. 51job is a next-generation employment recruiter and human-resources solutions provider for the young and tech-savvy. Better yet, it’s a Chinese company that levers the advantages of a labor force that is over twice the size of the total U.S. population! That’s a figure you simply can’t ignore. A few years ago, Goldman Sachs boldly stated that lithium is the new gasoline. Most insiders, though, would probably say that the vaunted financial firm is merely profiting from the obvious. Companies like Tesla (NASDAQ:TSLA) have long proven that lithium is indeed the next-gen fuel source. But try telling that to the markets. Tesla stock is down nearly 12% over the past year, and the lone lithium-based exchange-traded fund, Global X Lithium ETF (NYSEARCA:LIT), is down sharply this past year. Fortunately, so too is domestic-lithium specialist Albemarle (NYSE:ALB). So what’s causing this prolonged downfall? While lithium demand is higher, so too is supply. Indeed, as the lithium price soared, more producers wanted in on the action. As a result, Argentina, Australia and Chile have ramped-up production to the point where supply greatly exceeds demand. From Economics 101, you know where that situation leads. But like any commodity, the ebb-and-flow is difficult to predict. Sure, oversupply exists today. Tomorrow, that situation can change on a dime. Given that the broader technology industry points toward increased lithium usage, not less, my money is on ALB rising. Consider this lull in Albemarle shares as a discounted opportunity on one of the best long-term stocks to buy. 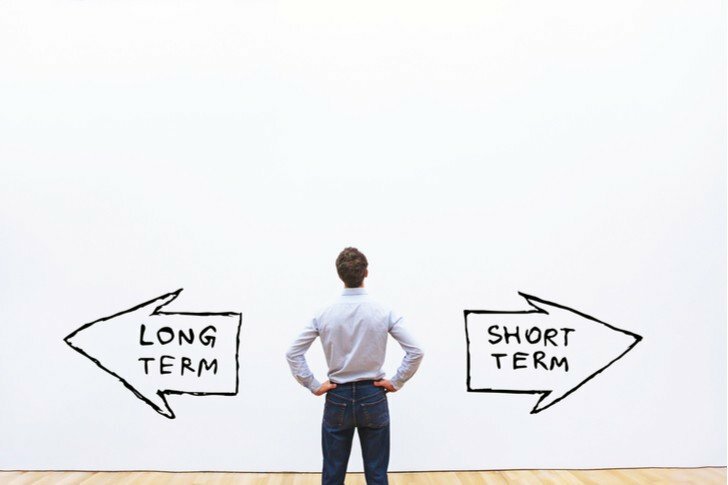 Article printed from InvestorPlace Media, https://investorplace.com/2019/04/7-long-term-stocks-to-buy-and-hold-for-the-next-few-years/.